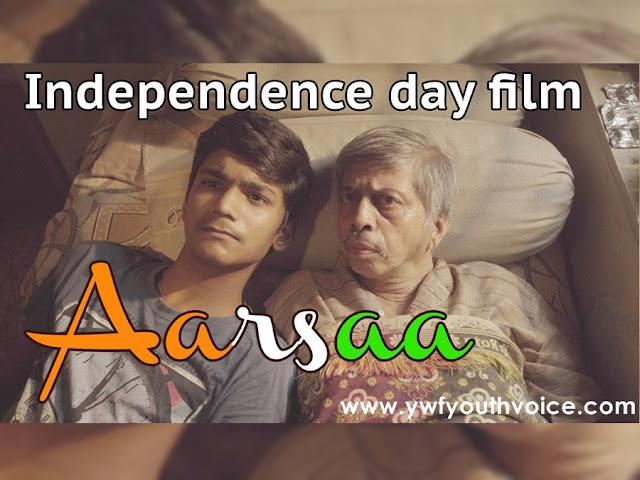 Every Indian must watch and share this Inspirational Indian Short Film - Aarsa. Watch this Inspirational Indian short film about Independence day celebration of an old man with his grandson .When the whole country is celebrating 70th Independence day, An old man suffering from memory loss still thinks India is under British Raj and hoping that before he dies he gets to see the freedom of India. With all hopes shattered, his grandson has an idea how to convince his Grandfather that India is Independent now. Watch this Inspirational short film about Love of an old man for his country and love of a kid for his Grandfather. This short movie may give you goosebumps and likely to left you with tears. "Where there is an Indian, there is a way." You should share this link or YouTube link in order to promote movie. However you may choose to not support the work and download it to keep it to yourself.